Atlanta Sealcoating – Watt Commercial Sweeping, Inc. Crack Filling, Sealcoating, & Re-Striping. Oh My! It is true that any parking lot and parking structure should have an active professional sweeping service and scheduled sweeps in order to keep their pristine appearance, however, asphalt and parking lot maintenance has another aspect to it as well. Watt Commercial Sweeping, Inc. works hand in hand with our sister company Atlanta Sealcoating to ensure that all of your lot needs are met. As we have talked about before, being proactive, rather than reactive is the best rule when it comes to maintaining your parking lot and parking structures. 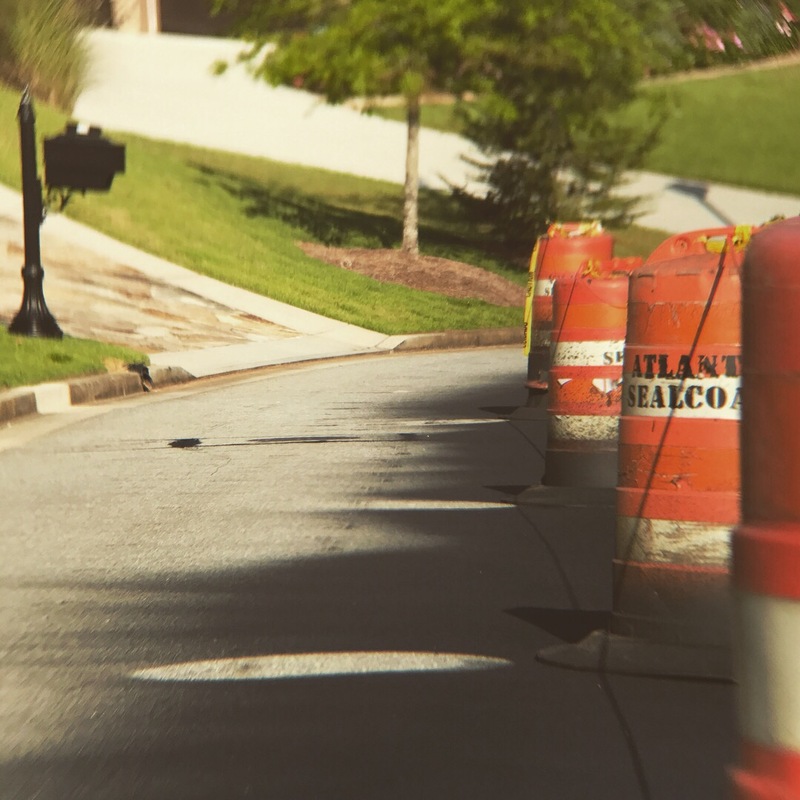 Routine cleaning and sweeping services help you do just that, but there are going to be other issues that will arise, such as cracks, potholes and asphalt areas that need patched and repaired. Don’t worry, we have you covered here too! 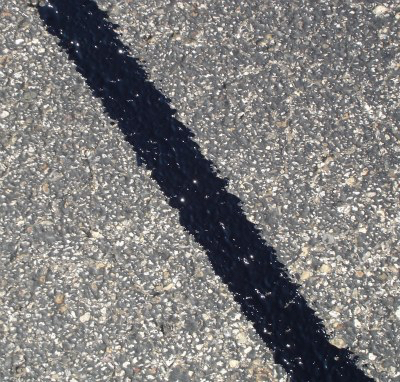 Over time, your asphalt shifts and the pressure and friction of cars on the surface will lead to various types of cracks that not only look bad, but can potentially cause extreme damage to the underlayment and foundation of your asphalt. 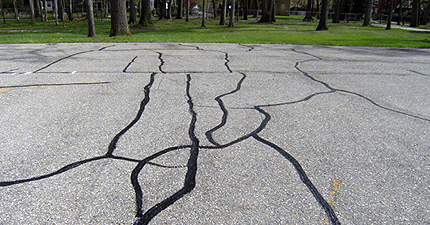 Crack filling is essential for long term protection of your parking lot surfaces, as well as your customers. In order for crack filling to be its most beneficial, it is best done at the proper weather conditions, which are typically warmer and drier times of the year. As spring is approaching, it is the perfect time to get an assessment on the cracks your property is experiencing in order to schedule a time for them to be properly crack filled to prevent any further damage to your property. After you’ve had the cracks on your lot filled, you will more than likely want to follow up with a proper sealcoating application. 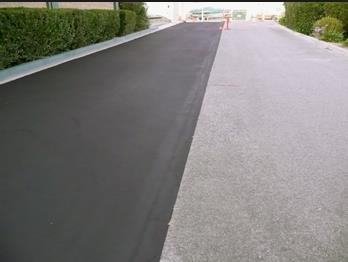 Not only will sealcoating your lot blend in the areas you had crack filled, but it will also help to restore your asphalt surface to its proper condition. Sealcoating gives your asphalt surfaces a fresh, clean and uniform appearance. It also helps protect against harmful effects of heat, water, ice, cold, oils, and gas. Sealcoating your lot after you’ve made repairs, such as crack filling, will help to extend the life of your parking lot surface. Sealcoating will also save you a huge amount of money. After the price of asphalt doubled in 2008, it skyrocketed in 2014! Sealcoating helps you to not have to pay for new asphalt. The cost of sealcoating your property is far less than having to replace the asphalt by far. Sealcoating will also give your lot a like-new look and be much more welcoming and inviting for your customers and clients, ensuring your business doesn’t suffer because of the disrepair of your parking lot. 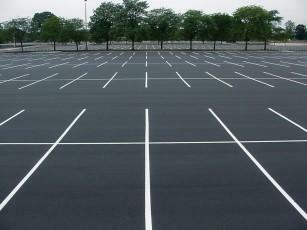 After you’ve had your lot repaired and sealcoated, you will need to have it re-striped. Sometimes re-striping is actually needed without having repairs or sealcoating, just because over time the paint fades and the lot is no longer up to standards and clearly marked. Having a clearly lined and marked parking lot can help reduce accidents on your property and again makes your lot look like new and is more welcoming to customers. More than curb appeal and straight parking space lines, re-striping also serves a very important role in making sure that your property is up to code and meets all legal measurements and requirements for parking lots and structures. Each space has a legally defined length or width requirement and the American’s with Disabilities Act laws specify how many specially marked handicap spaces your particular lot requires. 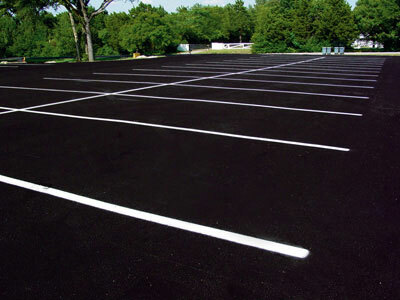 Atlanta Sealcoating is well aware of all federal, state and local requirements for parking lot spaces and with our keen attention to detail, you can be assured that your lot will be re-striped to the highest standards.